If this card was selected as an attack target by your opponents monster, you can activate this effect during damage calculation. You take no Battle Damage from this battle, your opponent gains Life Po.. 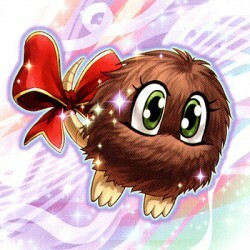 If this card is face-up on the field, you cannot use it for a Synchro Summon. If this card is in your Graveyard, you can remove from play this card plus 1 non-Tuner Blackwing monster in your Graveyard.. While in Attack Position: Once per turn, if you control exactly 2 other face-up Attack Position monsters, and no additional monsters, this card gains the combined ATK of the other two monsters you con..
You can Special Summon this card from your hand in face-up Attack Position. If you do, return this card and 1 face-up monster your opponent controls to the hand during the End Phase of your opponent's.. This card's ATK and DEF are equal to its Level x 200. During each of your Standby Phases, increase the Level of this card by 1 (max 12). When this card is removed from the field by a card effect, you .. This card's ATK and DEF are equal to its Level x 200. During each of your Standby Phases, increase the Level of this card by 1 (max 12). When this card is Special Summoned in face-up Attack Position b..